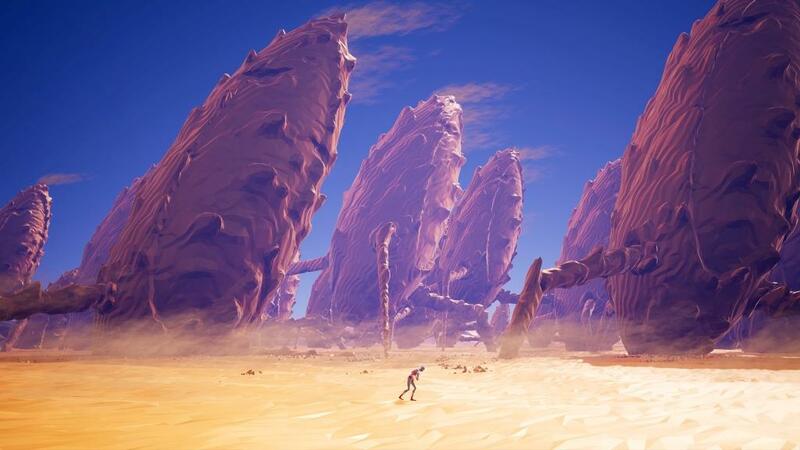 Planet Alpha offers an experience that reminds me of great games from the past while mixing in new ideas and current graphics. It is a 2D puzzle adventurer similar to modern examples including Never Alone, Limbo and Inside; or classics like Another World. If you are unfamiliar with this style of game, play consists of making your way to the right while solving puzzles and platforming to overcome environmental obstacles or cleverly avoiding combat. The title opens with the player controlling an injured, unidentified, spacesuit-wearing adventurer who is making their way out of a desert before they presumably succumb to exposure, or their wounds. The narrative is cryptic and slow to unfold, but the world itself is beautiful and always changing; totally keeping my interest as I unraveled mysteries and solved problems. It shall not be understated that a major part of this game’s appeal is the breathtaking alien environments presented throughout. Controls are kept simple at first and evolve slightly over the course of the adventure; opening up new avenues for overcoming obstacles and avoiding potential conflicts. A day/night cycle really shows off the planet and its lush ecosystems. Time of day also plays a part in progression through this fascinating world and the challenges contained within it. Making use of the changes in plants, animals and environment as the night brings darkness or the sun sits high in the afternoon sky. My time with the game through my first play through was somewhere around 4 to 5 hours. The pacing was excellent. I never felt like I was meandering too long in any one area, and new mechanics were introduced intelligently and often. 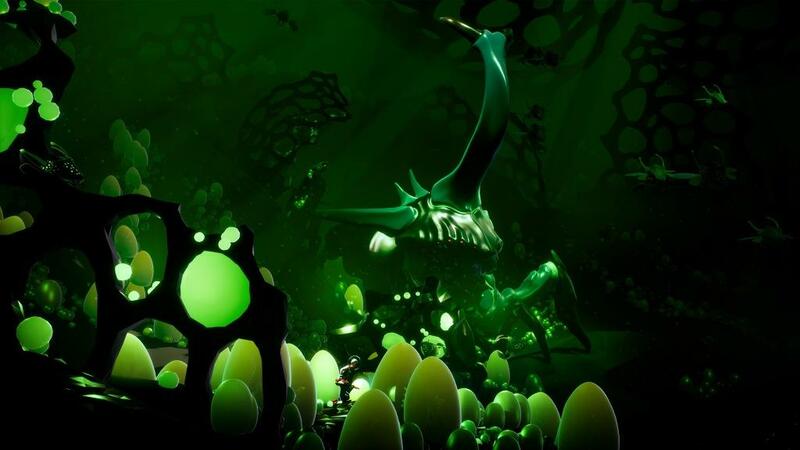 At times, unavoidable deaths were required to puzzle out certain sections of levels, but checkpoints were always knowingly placed nearby to limit replaying long stretches of levels unnecessarily. 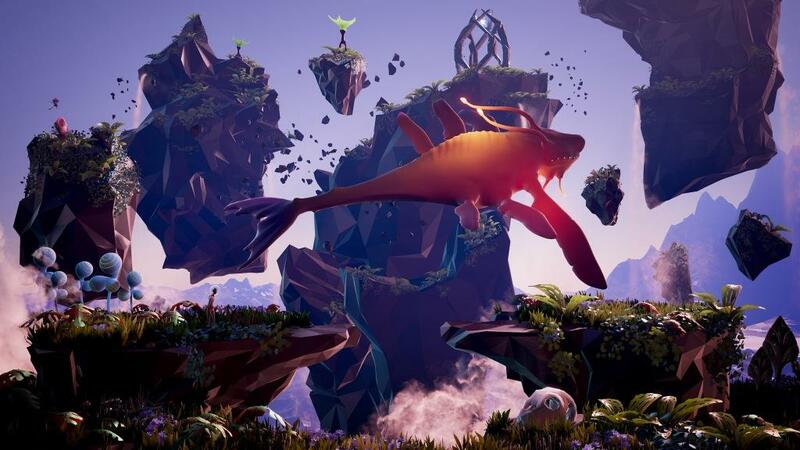 Planet Alpha has challenges and difficult spots, but always remains fun and fair throughout. After the credits rolled and I set down the controller, I felt that this game succeeded in telling a complete story; though there are still mysteries and details left untold. Exploring all the environments thoroughly was rewarded, and the ending I experienced was enhanced by my efforts. It was a nice surprise, and unexpected for this type of game. Having played many of the classics that Planet Alpha draws some inspiration from, I couldn’t help but enjoy a healthy dose of nostalgia as I romped through this sci-fi wonderland. Offering interesting, new mechanics in a classic gameplay setting, I feel Planet Alpha does mostly everything right in this old-school genre.